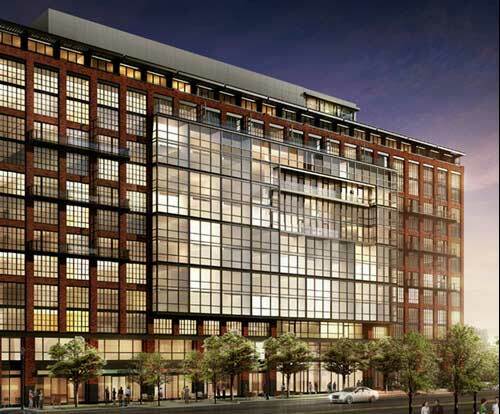 Balfour Beatty Construction has been selected by Wood Partners to build its new residential tower in Washington’s fast-growing NoMa (North of Massachusetts Avenue) neighborhood. Located at 33 N Street NE within walking distance of the US Capitol and Union Station, the 13-storey residential development will compliment the continued revitalization of DC’s urban core that has transformed the NoMa neighborhood into a thriving entertainment, retail and employment district. With demolition underway, the 33 N Street NE project will be a 346-unit, concrete-framed luxury high-rise development over a three-level parking garage with 210 spaces. The building will include a mix of studio, one-bedroom and two-bedroom units, and will also offer a select number of micro units and two-level suites. Custom-designed amenity spaces throughout the development have been thoughtfully designed to foster interaction and a true sense of community. Additional lifestyle features will include a fitness center, club room, expansive co-working space, rooftop pool with resort-style cabanas and barbecue grilling stations, and dog park. Bryan Frady, project executive, Balfour Beatty Construction, said: "Wood Partners is well known for developing intelligently-designed projects that greatly enhance communities around the country and we are honored to be their construction partner." "We have a great history working with Wood Partners, particularly in the Southeast region, and we’re excited to be their construction partner for the first time in the Mid-Atlantic region," stated Frady. "Our team has been deeply involved on this project throughout the pre-construction phase and will continue leveraging the latest technologies and Lean construction methodologies to deliver this tremendous project," he added.